The super secret NSA Utah Data Center is suffering from a number of massive electrical jolts which, in turn, have melted hundreds of thousands of dollars of equipment. According to a WSJ report, the explosions, called “arc failures” are like “lightning” inside a computer case. 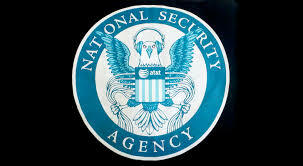 The systems, built in part by firms KlingStubbins, Balfour Beatty Construction, DPR Construction and Big-D Construction Corp, are integral to the NSA’s ability to scan satellite and Internet traffic. Apparently these arc failures have hit 10 times in the last 13 months. The center uses 65 megawatts of electricity or about as much needed to power 65,000 homes at a cost of $ 1 million per month. No one can pinpoint the exact problems with the electrical system, although there were reports of generators failing and problems with the adequacy of the electric systems.